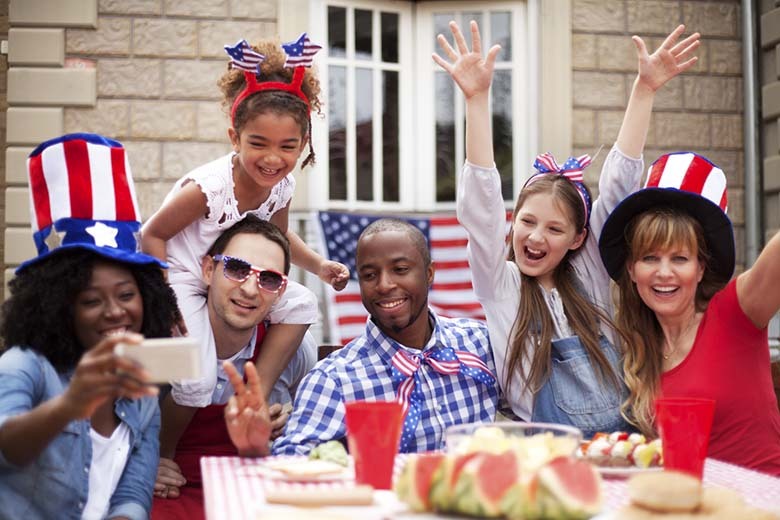 A patriotic color scheme of red, white, and blue plus optimal weather for grilling and gabbing with neighborhood friends makes Fourth of July optimal for all-out celebration. Make America great again (ha!) 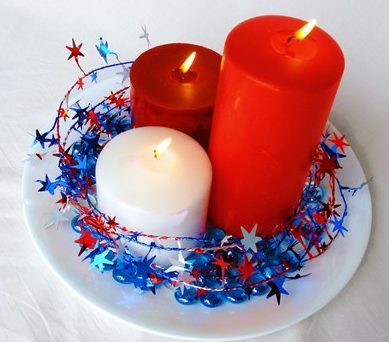 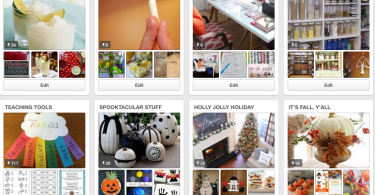 with these easy, affordable ideas below to make your Fourth of July party decor as eye-catching and possible. 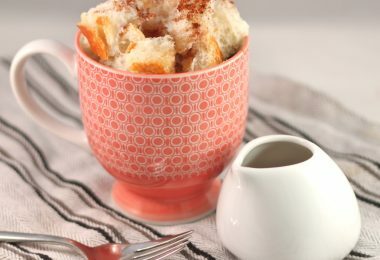 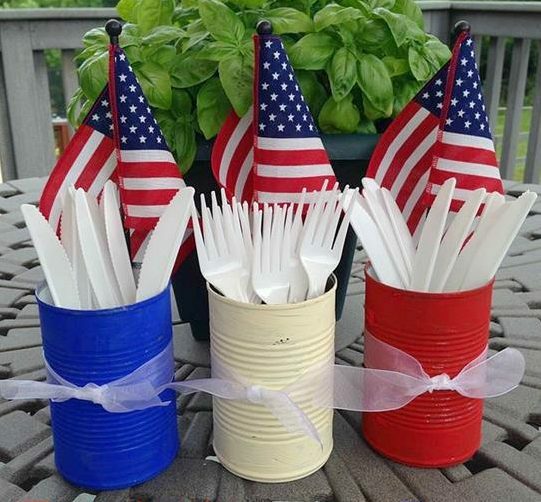 Spray paint tin cans and insert American flags for a cute cutlery display. 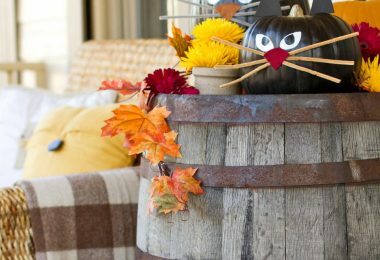 Wrap pillars in varying heights and widths with star spangled tinsel. 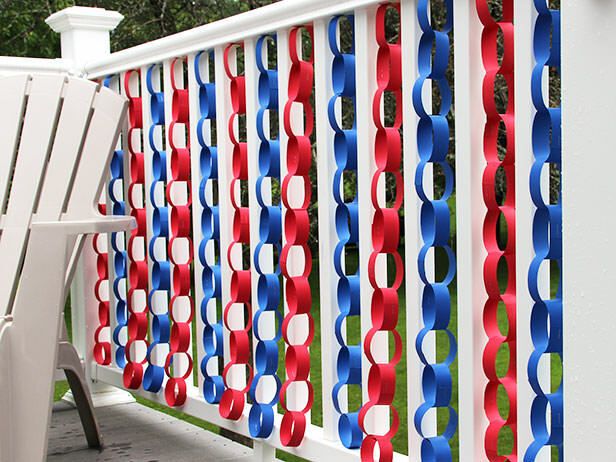 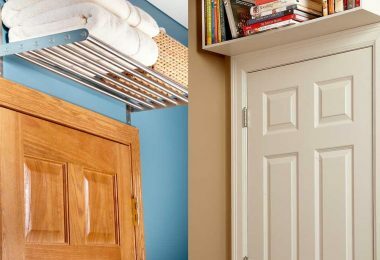 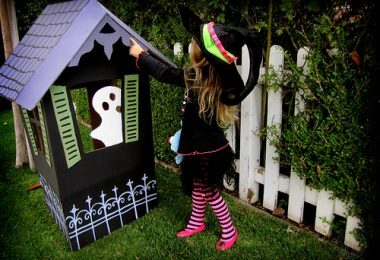 Use red and blue construction paper to make inch-thick chains and tape to underside of a bannister. 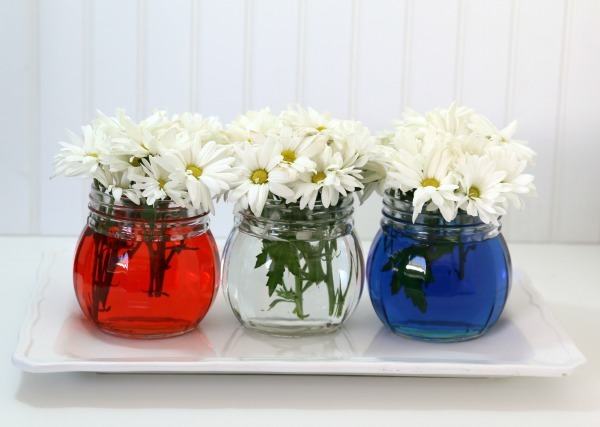 Use food coloring to create red, white and blue water for simple floral arrangements.